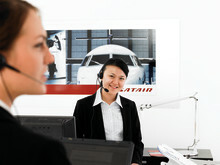 Over the years Satair Group has carefully selected a range of key OEMs from across the industry. This now adds up to approximately 50 partners. The ‘oldest’ partnership was established back in 1972. ​Satair Group is making great strides on a major programme to integrate its Airbus aftermarket supply chain. Several of the different modules underpinning this project are nearly finished with the final elements due to be completed at year end. ​Satair Group’s Latin American support offering has been dramatically enhanced with the commissioning of a new state-of-the-art support facility in Miami in the first quarter of 2016. With entry into commercial airline service of the first Saft Lithium-ion battery this year on a Finnair A350, Satair Group is well placed to play a significant role in the take-up of this new technology. 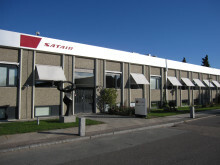 Satair Group is one of three companies that have been selected by Saft to distribute the new batteries on a worldwide basis. 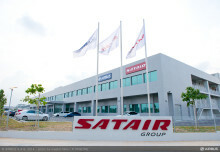 Satair Group’s major efforts to revamp its standard parts business is now paying dividends with several airline customers having signed multi-year volume agreements. Joint Airbus and Satair experience over the years provides a wealth of experience in planning, procurement, distribution, quality and engineering that IMS will leverage. Satair Group has ramped this up on a big scale to include all expendable parts providing a cost-effective material management service to airlines. A key element of both Airbus and Satair's business structures are the Customer Order Desks (COD), which are set up in different ways to handle customer requirements. Both COD channels received strong marks in the 2014 Customer Satisfaction Improvement Programme annual survey -a tribute to the specialists who deal proficiently daily with customers to meet their aftermarket requirements. Going the extra mile to support its customers is a hallmark of Satair Group and in autumn 2015 this was proven yet again with the delivery of two A380 hydraulic flyaway kits to a customer in the Middle East. 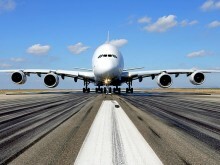 The business is now looking forward to creating many more of these tailor-made solutions not just across the A380 but on many other platforms as well. A revamp of repair services for Airbus aircraft is leading to major benefits for customers and strong business growth for Satair Group. And the improvements will continue with new innovations underway and planned over the next few years. Many airlines operate mixed fleets from different manufacturers, and Satair Group’s ambition to be the leading global aftermarket integrator with a full range of support offerings requires it to provide its services across multiple aircraft types. 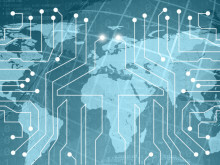 The global aerospace supply and value chain is becoming ever more complex. A typical passenger aircraft is made up of approximately 3 million different parts - and spare parts for routine maintenance are produced by thousands of different manufacturers, creating a hugely complex task for all stakeholders. 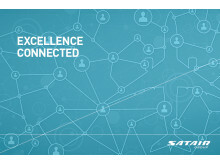 Satair Group recently unveiled its new product and services portfolio, offering a complete range of integrated aftermarket services and solutions on a global basis for any type of OEM business partner as well as airline and MRO customers. Satair Group’s Integrated Purchasing Programme (IPP) is going from strength to strength with the plan to gain more United States aviation suppliers this year and, as a result, strengthen the Boeing element on the programme. This year Satair Group celebrates its 20-year commitment to the Chinese market. From simple beginnings with a Representative office in 1995, the company has grown consistently to serve the expanding Chinese airline market. A major investment in the A350 Tool Lease Service is the latest Satair Group offering for the service support of the aircraft. 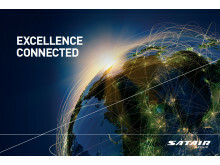 Satair Group is a company on a mission. It doesn’t have a 2020 vision though because the company is wanting to move much faster than that – 2017 is the immediate goal for the ambitious growth targets that have been set for the new business. Meet the newest member of Satair Group’s Executive Management team. Jasper den Ouden, Satair Group’s Head of Human Resources based in Hamburg, talks to SimplyFly about Satair Group’s presence in Hamburg and the role of HR within the Group. 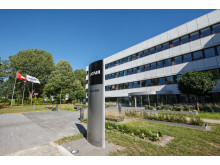 As the preferred aftermarket integrator, Satair Group is increasing the level of service for its Airbus standard parts business, backed by EASA Form1 approval to boost the quality assurance available to customers. 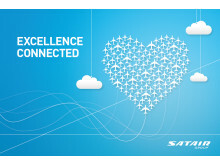 Deep aftermarket integration expertise and global reach means that suppliers dramatically improve their aftermarket performance with Satair Group.